Designed to offer postural support and a certain degree of restraint to children and adults on single or split backed bench seats, to keep them in an upright sitting position. 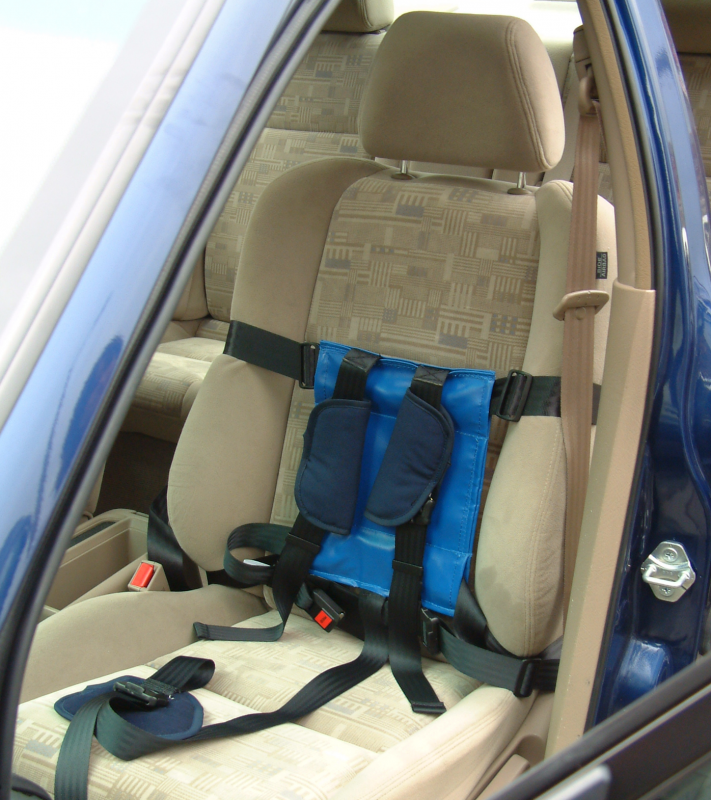 The harness consists of a full body harness connected to a back pad which is fitted horizontally around the vehicle seat back with two fixing straps. 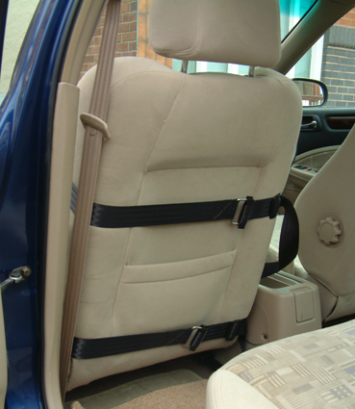 Fits most types of vehicle seating including low or high backed. The Model 27 has been accepted for passenger use on aircraft seats by many leading airlines. The two horizontal fixing straps do not interfere with the passenger behind using the drop down trays. It must be used in conjunction with the existing aircraft safety belt. IMPORTANT: The Model 27 is NOT FAA approved. We always advise our customers to seek permission from the airlines to use our harnesses prior to departure. We also recommend that you request permission in writing or get a contact name & telephone number to avoid any problems at the Airport. 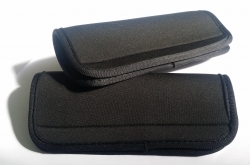 Model 27 is available in three sizes. For those passengers with inquisitive fingers that can undo the 'Press Release' buckle, please click on the link below to see Model 27 fitted with the 'Steel Safety' buckle.